In this book, fifteen authors from a wide spectrum of disciplines (ranging from the natural sciences to the arts) offer assessments of the way time enters their work, the definition and uses of time that have proved most productive or problematic, and the lessons their subjects can offer for our understanding of time beyond the classroom and laboratory walls. The authors have tried, without sacrificing analytical rigour, to make their contribution accessible to a cross-disciplinary readership. 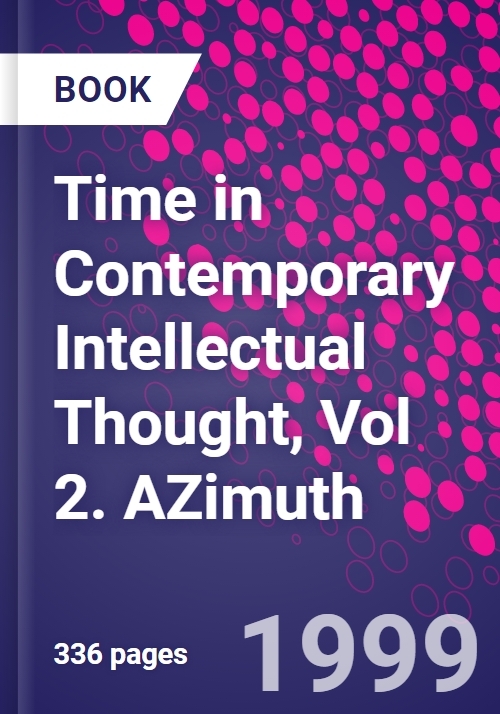 Each chapter reviews time's past and present application in its respective field, considers the practical and logical problems that remain, and assesses the methods researchers are using to escape or resolve them. Particular attention is paid to ways in which the technical treatment of time, for problem-solving and model-building around specific phenomena, call on - or clash with - our intuitive perceptions of what time is and does. The spans of time considered range from the fractions of seconds it takes unstable particles to disintegrate to the millions of years required for one species to give way to another. Like all central conceptual words, time is understood on several levels. By inviting input from a broad range of disciplines, the book aims to provide a fuller understanding of those levels, and of the common ground that lurks at their base. Much agreement emerges - not only on the nature of the problems time presents to modern intellectual thought, but also on the clues that recent discoveries may offer towards possible solutions. Introducing time (P. Baert, A. Shipman). The complete description of temporal reality (R. Teichmann). The temporalization of time in modern philosophy (M. Sandbothe). Understandings of time in complementaristic language (L. Löfgren). The origin of the universe (W.H. Newton-Smith). A clash of doctrines: The arrow of time in modern physics (P. Coveney). Past events never come back (X. De Hemptinne). Time's poisened arrow: Reconstructing evolutionary history (A. Friday). Time and evolution (I. Tattersall). Real time and telative indeterminacy in economic theory (M. Rizzo). Time in economic theory (F. Hahn). Time in social theory (P. Baert). Political theory and time (M. Lane). Time and anthropology (A. Gell). Postmodernist theories and the question of time (M. Quie). Time in Psychology (W. Friedman). Conclusion: A time whose idea has come (A. Shipman, P. Baert). Index.